When it comes to gardening debates, none is as universal as the great perennial vs. annual conflict. Some people swear by one type of plant, some by another. Juniper Landscape Company in San Diego suggests that there is a way to blend both types of plants to give you the beautiful yard you want with a minimum of fuss and maintenance. What are Annuals and Perennials? 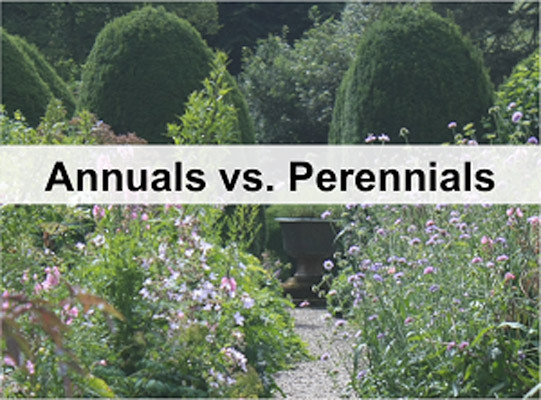 In order to understand this debate, it is important to understand the difference between annuals and perennials. Annual plants live and die in one year, giving them their name. Annuals include a variety of showy flowers and blooms, but they do not last more than a single season in most cases. Perennials, on the other hand, come back year after year. These plants include some of the more subtle shades and colors, although they also include a few showy flowers as well. Unlike perennials, annuals require more work in the short term. They must be planted every year and pulled up after their growing season is over. They often require a great deal of water and tender care in order to get the best blooms, but many people like them because they feature a rainbow of flower colors. Annuals also make it possible to change your beds year after year and keep them fresh and interesting. Perennials also require some special care. When perennials are first planted, they must be fertilized and tended so that they bloom well in the first season. They must also be cared for during their dormant period so that they have the nutrition they need to come back and bloom year after year. Once perennials are established, a simple routine will usually keep them in top form. However it is also possible to prepare an annual bed or area and make it more likely that the plants will thrive from year to year as they are replanted each time. Both annuals and perennials take a great deal of work. A landscaping expert firm like Juniper Landscape Company in San Diego can help you with several aspects of plant management. JCMS can help you choose between annuals, perennials or a mixture for your yard. JCMS professionals can also help you set up good care routines that will keep your plants healthy and beautiful all year long. Contact JCMS in San Diego to discuss your yard and garden maintenance needs.